In 1911 George married Sarah M. Dixon at Mansfield and they had a son George in 1912 and daughter Florence in 1915. 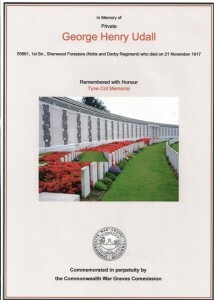 He enlisted at Eastwood, joining the 1st Battalion on 12th December 1916, serving with ‘D’ company. 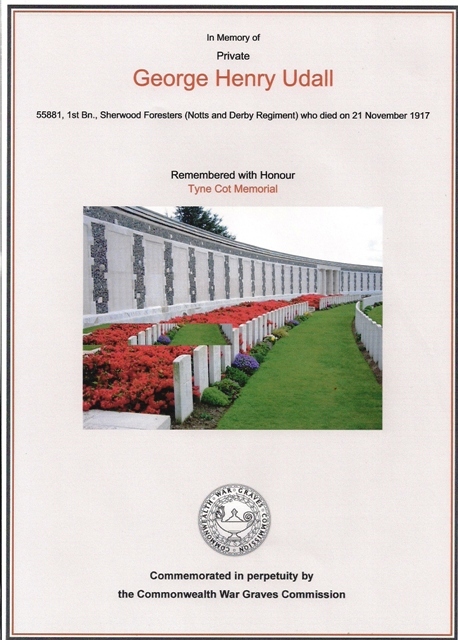 He was wounded on 8th June 1917, being in a casualty clearing station on the 10th June. He returned for duty on 20th August 1917. Only three months later, on Wednesday 21st November, he was killed in action by German shellfire when serving in the trenches near Bellevue, Belgium, age unknown. He has no known grave and is commemorated at The Tyne Cot Memorial, Passchendaele, Belgium. Memorial to those “whom the fortune of war denied the known and honoured burial”. 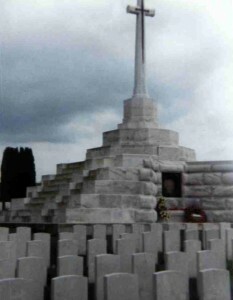 There are 34,949 with no known grave who are commemorated at Tyne Cot Memorial. George was awarded the British War and Victory Medals. In March 1918 George’s personal effects of £7 3s 8d were sent to his widow Sarah, followed by a war gratuity of £5 10s in November 1920. 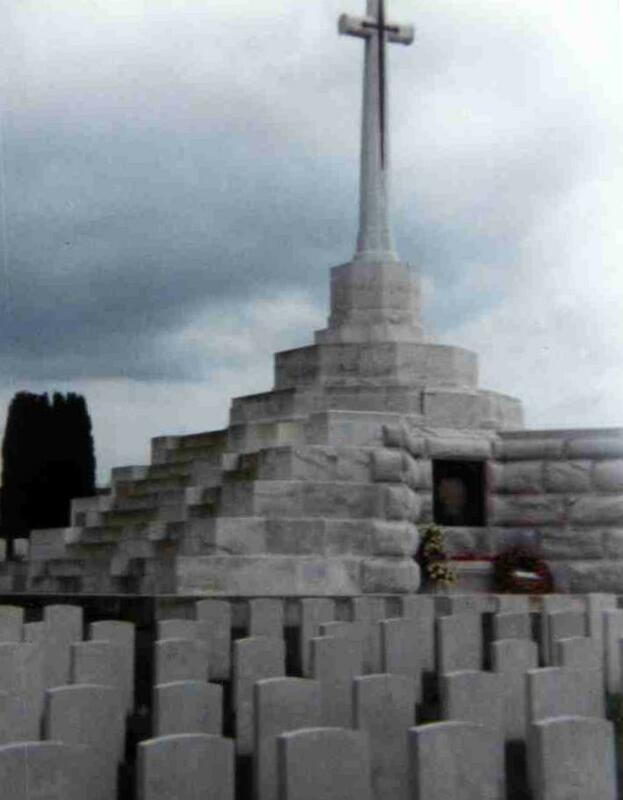 In early 2001 a coach party, arranged by a local touring company called “Henshaw’s” visited the Tyne Cot Memorial and expressly sought out where George is commemorated.